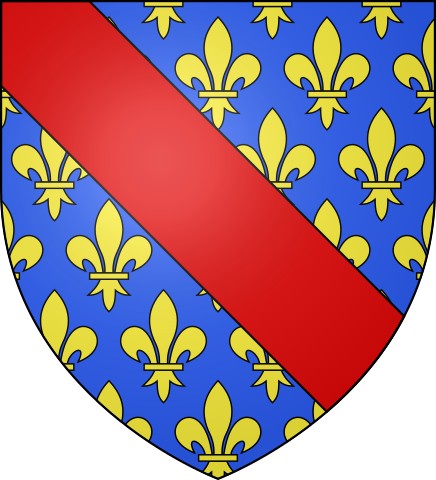 This vector image includes elements that have been taken or adapted from this: Blason pays fr FranceAncien.svg. 이 작품은 저작자인 Syryatsu에 의해 퍼블릭 도메인으로 공개된 작품입니다. 이 공개 선언은 전 세계적으로 유효합니다. Syryatsu은 이 작품을 법적으로 허용되는 한도 내에서 누구나 자유롭게 어떤 목적으로도 제한 없이 사용할 수 있도록 허용합니다. 2010년 10월 19일 (화) 00:05 600 × 660 (235 KB) Ssire Reverted to version as of 11:51, 18 October 2010 Crée un autre: celui ci doit rester leger !